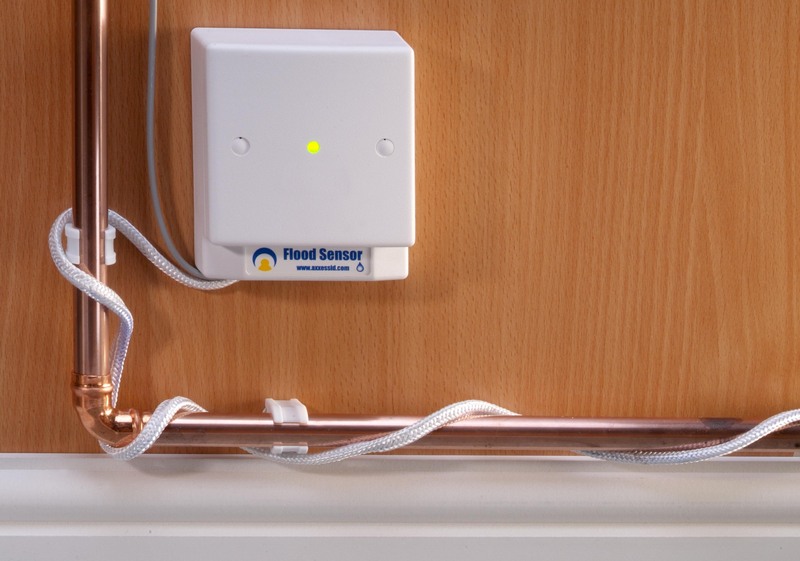 The smart flood sensor provides early detection of leaks and floods, preventing water damage to critical assets and equipment. The five metre detection cable can easily be wrapped around pipes or simply positioned on the floor or wall, fixed in place with the fixing clips supplied. A unique feature of this sensor is the ability for the dual-detection cable to sense water at any point along its five metre length and provide analogue data measurements back to the AX300 or i-Box environmental controllers. Detection levels are user-configurable, accommodating a side range of humidity levels to avoid false alarms. Even after an alarm, detection continues whilst the cable dries and reports an analogue value (1-255) back to the PC software. The sensing cable connects to an interface unit the size of a single- gang electrical back-box, which in turn connects to the AX300 or i- Box controllers using standard RJ10 connection.